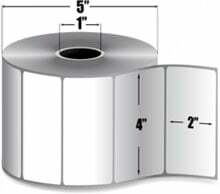 Zebra Z-Select 4000D - 4" x 2" Direct thermal paper labels, Perforated, 1240 labels/roll, 6 roll case. 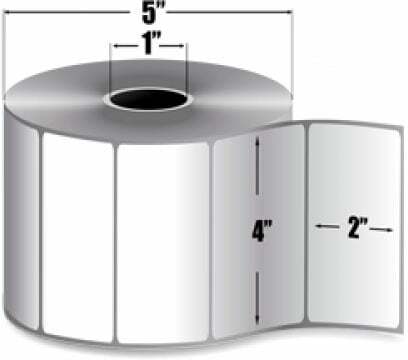 Also available as a Single roll (Part# 10010047-R). We have been using this product for over 4 years and we love the quality of this product. The tags are easy to peel and sticks very well to paper and even plastic. I would never hange to another item. The Zebra 10010047 is also known as ZEB-10010047-CASE	.